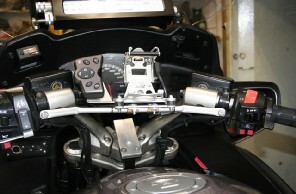 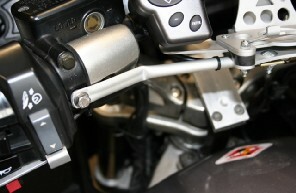 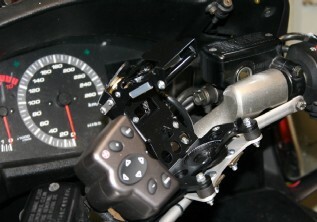 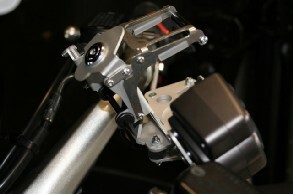 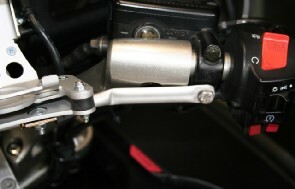 Here some pictures of a Touratech mount mounted on a rod between the two parts of the handlebars. 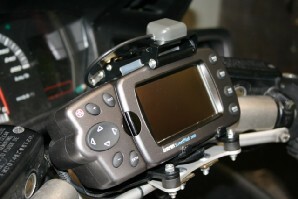 The Touratech mount holds the Garmin 2610.
looking to the meters, I decided to paint the touratech black. 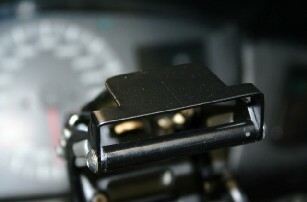 and finally finished with satin black. 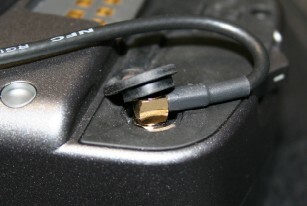 Because the upper clamp of the touratech fits over the internal antenna of the 2610, the satelite signal is weak. 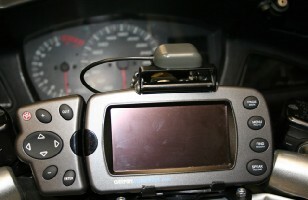 GPS while putting the device in its carrying bag without bending the antenna cable. 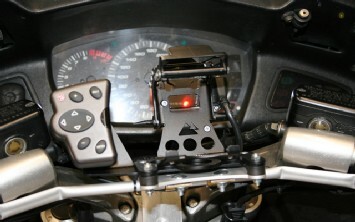 bike for an unwatched moment. 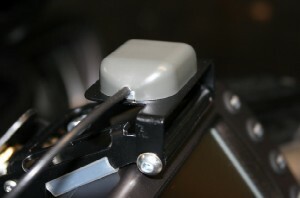 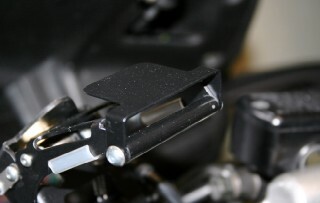 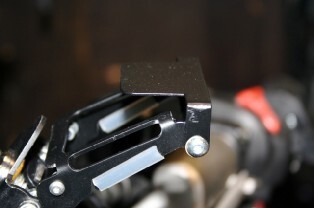 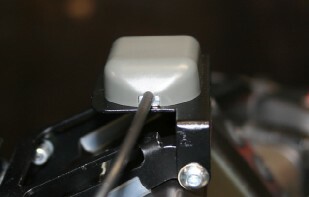 To place the magnetic antenna I made an additional brace on top of the upper touratech clamp.